A very big thank you to Paula Hallam of Tiny Tots Nutrition, for this really helpful guest blog post on how to deal with a fussy eater. A subject that many of us with little children can relate to! Paula is a specialist paediatric dietitian with over 16 years experience, working in the NHS and other healthcare settings. She has private clinics in Surbiton and Walton-on-Thames. You can find out more on her website or on Twitter. Sound familiar? As a parent, you always want to do the best for your child and this includes trying to feed them the healthiest foods you can. But your best intentions are often abandoned when a fussy toddler refuses your meal! Why do children refuse food? The first thing to say is that food refusal is a normal part of toddler development. 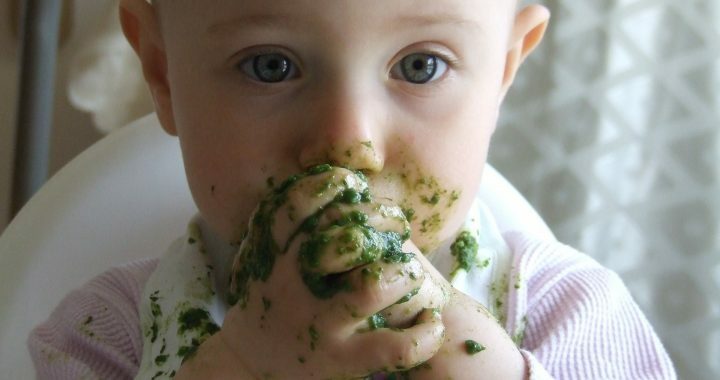 Between the ages of 6 and 12 months, most babies are willing to try new and different types of foods. They are naturally curious and want to try foods that you and other members of the family are eating. This is why it is so important to use this “window of opportunity” to offer a variety of foods for your baby to taste and explore their texture. Between the ages of 1-2 years, toddlers begin to develop a more suspicious view on food. This is called the ‘neophobic response to food’, which means that they become slightly wary of trying new foods. 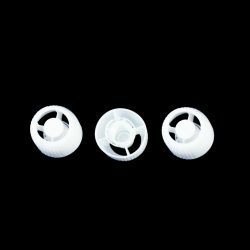 It is thought that this is a survival mechanism to protect a child from eating something poisonous. But the good news is that most toddlers grow out of this ‘neophobic’ phase and will develop a healthy attitude to foods if they see their siblings and parents/carers eating a wide variety of foods. Make sure you offer meals and snacks at more or less the same time each day, so that your child knows what to expect. This also ensures that your child does not become too hungry or tired to eat. You decide WHAT your child eats and let them decide HOW MUCH they eat. Try offering a “do it yourself” meal, such as making your own wraps, pitta breads or pizzas. You choose the toppings that are available and let your children choose what they would like to go in/on their wrap/pitta/pizza. If a child is full up on juice or milk they will not have an appetite for their food. Use a drinking cup for water/diluted juice/milk and try to phase out feeding bottles by about 12 months of age. Between 1 and 3 years of age, a child needs a maximum of 350ml of milk per day to meet their calcium requirements. TOP TIP 5: Don’t’ give up! Children need repeated exposure to a food in order to accept it – this can be 10-15 times. If they don’t like a food the first time, don’t worry; just try it again in a week or so. Keep offering a food to your child…perseverance is the key! Constipation and iron deficiency anaemia can decrease a child’s appetite. Previous negative / unpleasant experiences around food and eating, such as pain, vomiting or gastro-oesopageal reflux can also affect a child’s eating behaviour. If you suspect your child may have one of these conditions, contact your GP. A final note… If your child eats a very limited range of foods (10 foods or less) or is particularly sensitive to sound, touch or smells, they may have sensory processing problems. Ask your GP to refer your child to a Paediatrician and they may recommend a multi-disciplinary Feeding Clinic. If you have a question about your child’s nutrition, please get in touch I’d love to hear from you! 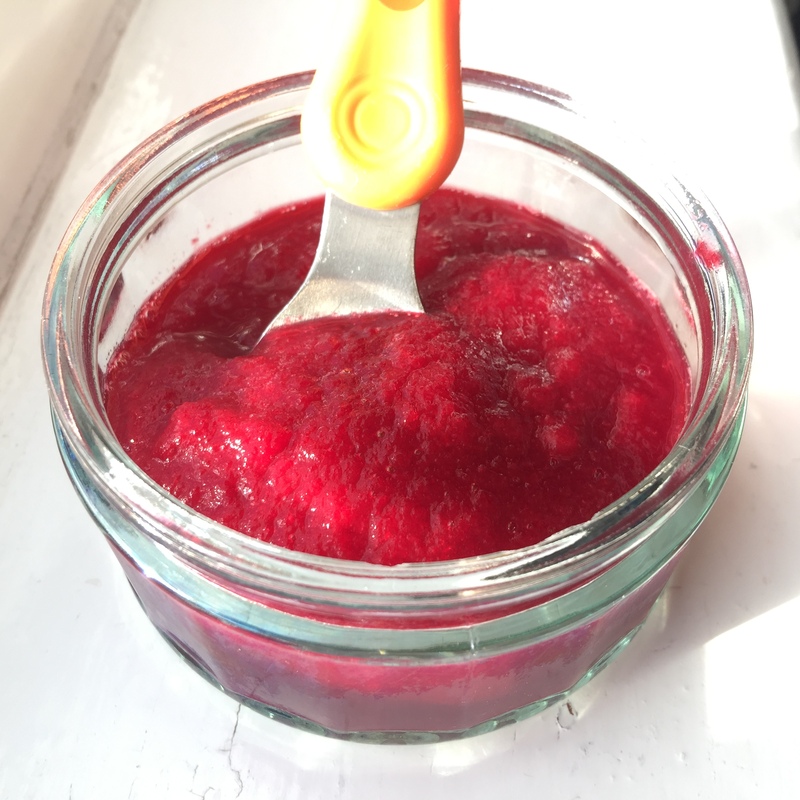 This is a super puree to introduce beetroot to your little one! 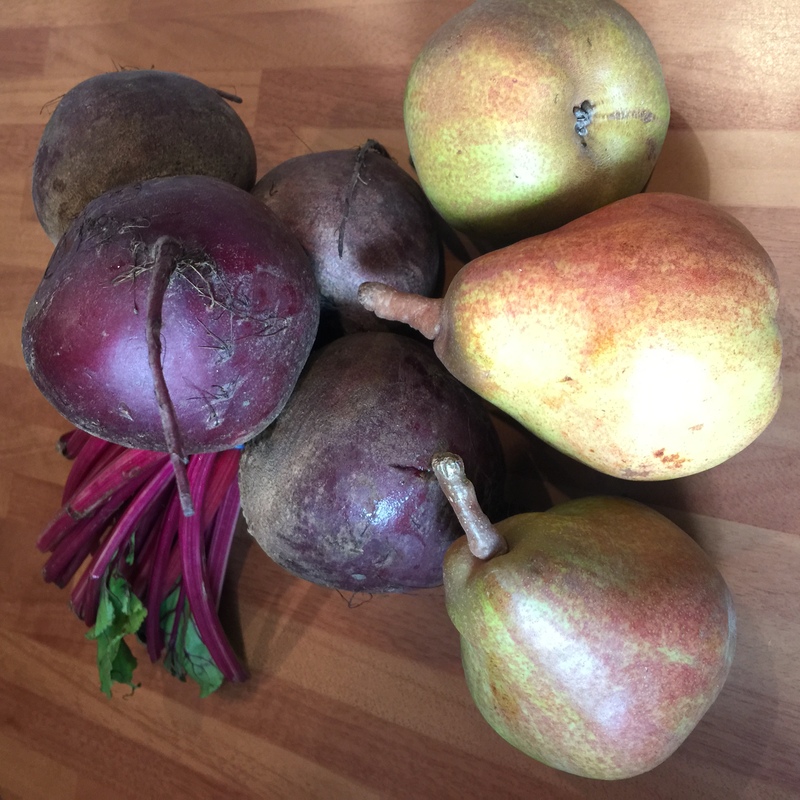 The pear gives it a bit of sweetness which offsets the earthy flavour of the beetroot. It’s so simple to make! Put the chopped beetroot in a saucepan and boil till soft. You could also steam or microwave – up to you. Reserve some of the cooking juices for later. 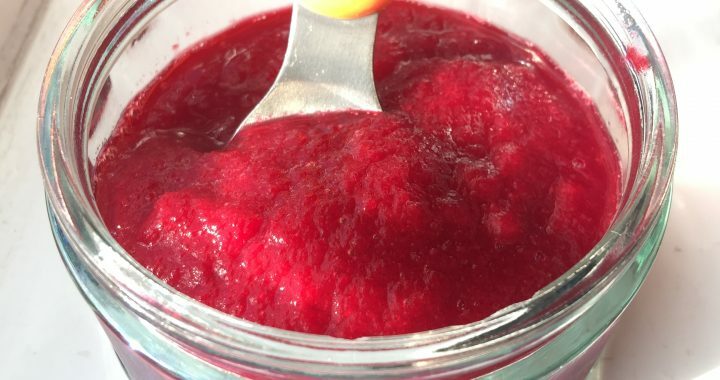 Blend the cooked beetroot and the raw pear until smooth, adding as much of the reserved cooking juice as necessary to get your preferred consistency. You could use a bit of water instead of the reserved cooking juices if you’d prefer. Serve straight away, pop into freezer portions for later, or spoon as much as you need into a Super Squish pouch for a fabulous meal on the go. 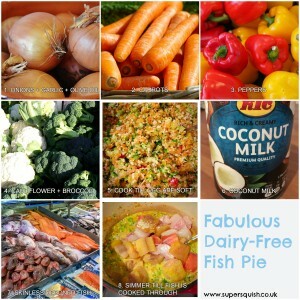 There are so many nutritional benefits of adding fish to our diets. When my son was starting to eat solid food, good old fish pie was a favourite dish of mine to get him to eat fish, in addition to the childhood staple of fish fingers (of course!!). I used to make fish pie with the traditional white sauce, but as he grew a bit older he started to refuse to eat it! I did some some internet research to try and find alternative recipes that hopefully would be acceptable to the increasingly fussy toddler. I came upon a recipe using coconut milk which I have adapted and made my own. It’s such a versatile recipe – you can add whatever vegetables you have in the fridge, and whatever fish you prefer. Typically avoid smoked fish, or add it in small quantities, as it has a strong flavour that not all kids will like. I’m on a mission to ‘Make Veg The Hero’! Basically, I want to try and get my son to eat loads of healthy vegetables, which typically means disguising them as much as possible. This dish will allow you to sneakily introduce vegetables of your choice into the meal. WIN! 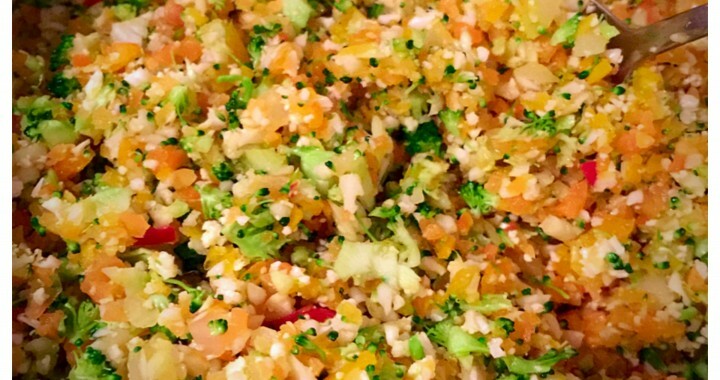 The key step in this recipe is to use a food processor/small blender to blitz the vegetables into teeny, tiny pieces. This also makes a great quick family supper – I serve it over egg noodles or spiralised courgettes. If you add more coconut milk it becomes more like a soup. Note: You can substitute the vegetables with any others you might have in your fridge – green beans, courgettes are great alternatives. Obviously if you add some frozen peas, you don’t need to blitz them but you can add them just before the end of the cooking time. You can also experiment with the quantities of vegetables you add. Use the quantities above as a guide, but it is such a versatile recipe that you can amend it very easily. Heat a tablespoon of oil in a large pot on a low/medium heat – you don’t want the garlic to burn. Blitz the onions into fine pieces and crush the garlic. Add to the pot and cook for a few minutes. Meanwhile blitz the remaining vegetables as you did the onions and add to the pan. Cook on a med/low heat for about 10-15 minutes or until the vegetables are soft, stirring regularly. Add the tin of coconut milk, bring to the boil and then simmer on a low heat for 5 minutes. Add the fish to the pot, gently stirring so that the fish is covered by the coconut milk (add more coconut milk if you need to). Poach the fish for 10 minutes or until the fish is cooked through. TIP: Avoid stirring the fish around too much while cooking to avoid the fish breaking up into tiny bits. Season with lime juice to taste, and add salt and pepper to taste (if adding). Serve with mashed sweet potato, rice, noodles or accompaniment of your choice. Makes enough for 2 adults and 2 children with extra left over, depending on your portion sizes! If you are feeding this to a little one as part of the weaning process, blend/pulse in a food processor to the desired consistency. 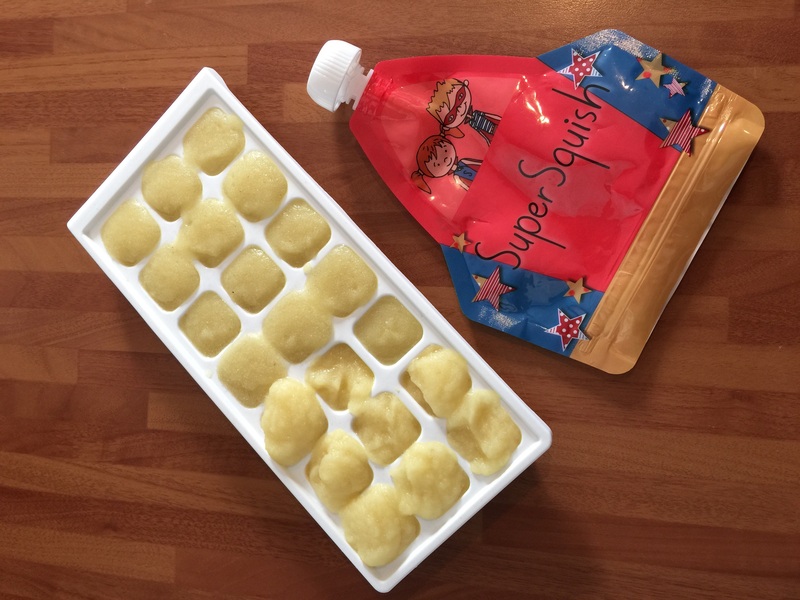 Pop into Super Squish pouches and freeze or refrigerate if not using straight away. Cauliflower is in season during October and, once cooked, is a fantastic vegetable for puréeing and also for finger food while weaning. This cheesy cauliflower mash is a baby’s version of the classic dish, cauliflower cheese. It can also be used as a delicious alternative to potato mash in adult meals! This recipe is for a large quantity to make the mash in bulk for freezing in ice cube trays or any other container of your choice, or to use straight away. You can defrost the cubes of mash and use in the Super Squish pouches for easy food on the go. Add a little water to a pan with a tight fitting lid. Add the whole cauliflower (without all the leaves) and allow the water to boil, then turn down to a simmer and steam the cauliflower until it is very soft. I check by piercing the cauliflower with a knife. Just make sure that the water doesn’t run dry! Once the cauliflower is cooked, drain the water from the pan and break up the cauliflower with a fork. Add the butter and cheese and using a handheld blender blend the mash until it has a very smooth, creamy consistency. You can add a little water if you need the mash to be less thick. I don’t think there is a ‘one size fits all’ approach to weaning. My little one is now 3 and a half, so I’ve left that stage long behind me but I remember it well. My son was one of those kids who would eat pretty much everything, a lot of it, and from a spoon. Friends of mine had little ones who wouldn’t. Plus, you also have to factor in the fickle nature of a weaning baby whose like (or dislike) for certain foods and they way they are fed to him/her seems to change with the wind direction! Random and unanticipated! When I was weaning my son, I used a multi-prong approach which worked for both of us: sometimes chopped food for self feeding, sometimes food pouches, sometimes ice cubes of puréed food defrosted and mixed together etc. I wish the Super Squish pouches were around then. Which lead me to have a think about how I would have incorporated the pouches into the weaning process, especially in the very beginning. 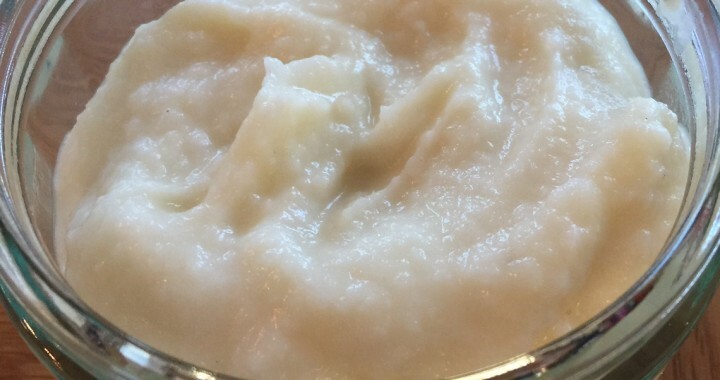 If you go the puréed food route (which I appreciate doesn’t suit or work for everyone! ), you typically introduce small amounts of food and different flavour combinations in the early weaning stages. With this in mind, I puréed cooked apples and cooked pears separately then spooned them into ice cube trays. Each cube was about 15mls/ 1 tablespoon. This makes it easier to know how much your little one is eating. 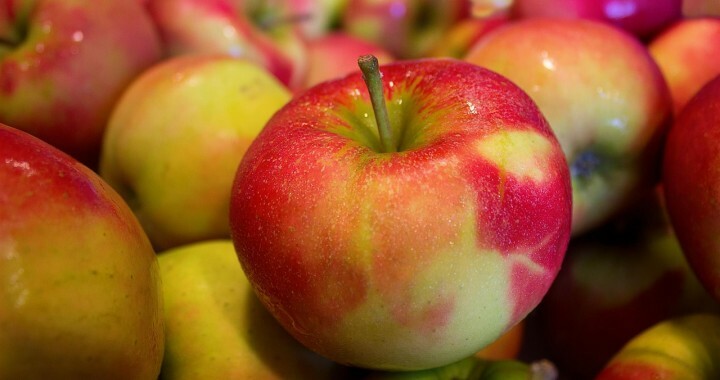 Once they were frozen, I popped them out and decided that I wanted to mix the pear and apple flavours together. I put 2 of each into the Super Squish pouch and let it defrost. I then squished the pouch a bit to mix up the contents. Voila! Apple pear combo. Obviously you can add any number of ice cubes and combination of flavours as your baby’s appetite grows. 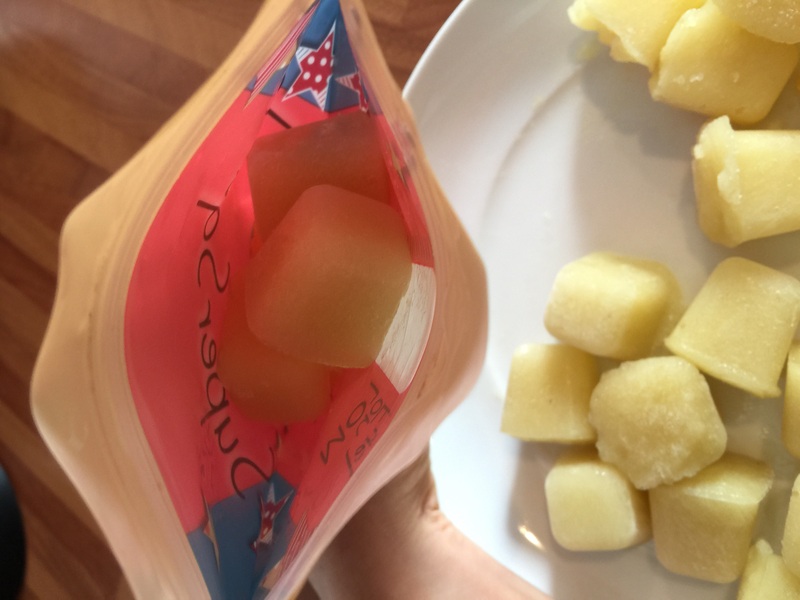 Remember to really make sure you seal the zipper – I didn’t the first time I did this and had purée everywhere once the cubes had defrosted! Fantastic – now I had my choice of blended food in a pouch! Ready to go. I stored the rest of the ice cubes in labelled ziplock bags and popped them in the freezer. 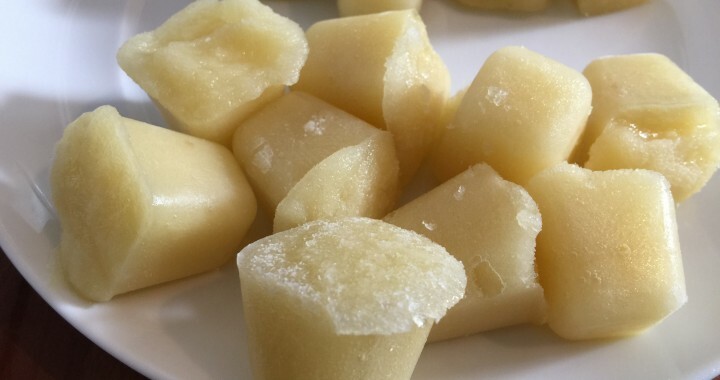 I used to make lots of different types of ice cubed purées (fruit, vegetable and stock cubes) in advance, bag them and have them ready in the freezer when I needed them. Easy peasy!! Obviously, you could also fill up the pouch with puréed food and feed it to your baby in a few sittings. The pouches are versatile and you can make them work for you no matter which stage of childhood your little ones are in! 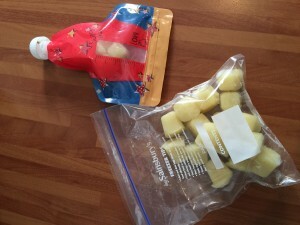 Simple fruit purees are often really great to introduce babies to solids! They are also versatile and can be added to vegetable purees to make them slightly sweeter and therefore more palatable for your baby. They can also be combined for a great smooth fruit medley. 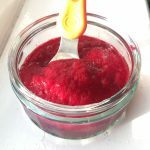 I wanted to share with you some of my favourite starter fruit purees. They are super easy to make and in no time you’ll be filling up your Super Squish pouches with smooth fruit puree. Ready to zip and zoom! allow the puree to cool and then fill up the Super Squish pouches. Ready to use immediately or freeze. Easy!! The quantities we’ve given below should be enough to fill at least 2 Super Squish pouches (roughly 260ml). 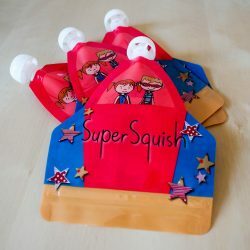 Fabulous giveaway and 10% off Super Squish!